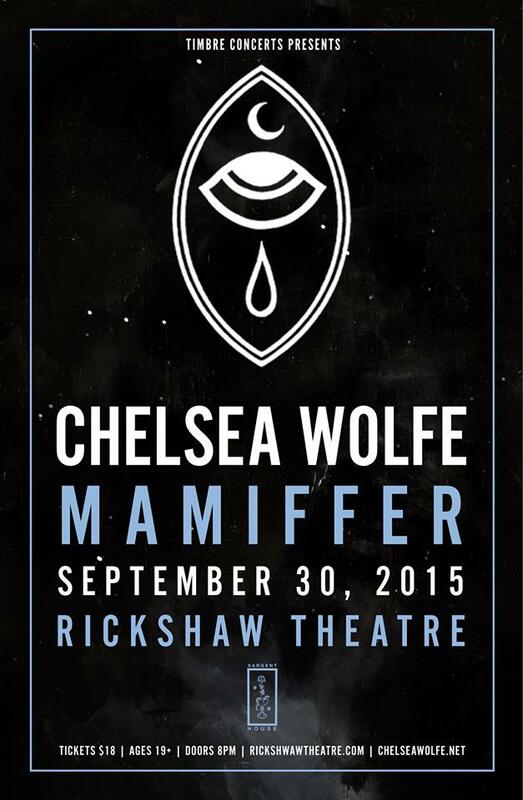 Now that the new album release hype has died down and Chelsea Wolfe is scheduled to perform in Vancouver tomorrow (30 September 2015), the time is right for a serious review of her latest release, Abyss. Immediately apparent is the improved production sound, which takes this latest batch of songs and injects them with steroids: bigger, bulkier, and menacing, the nuanced fragility of her previous recordings maintains a presence via Wolfe’s breathy voice, but all other instrumentation flexes and sweats to carry the songs further than we have heard before. The ascending and descending drone warbles combined with punchy percussion on opener, “Carrion Flowers” is strongly reminiscent of industrial doom-dub act Author & Punisher with just a hint of Bjork’s “Army of Me”. “Iron Moon” and “Dragged Out” would have been grunge classics had they been released 20 years ago, despite their crisp production and milder vocal delivery. The combination of distorted guitar and piano makes “Maw” easy to reimagine as a Fragile-era Nine Inch Nails track, particularly given the mechanical percussion of its closing segment. “Grey Days” is a notable highlight for its strings, which add so much dramatic tension to a palpitating beat that one takes immediate solace in the soothing melancholy lullabye of Wolfe’s voice. “After the Fall” makes a notable misstep with its uncharacteristically bloopy arpeggiated breakdown; however this is immediately redeemed by the wistful yet alarming balladry of “Crazy Love” and the lulling drone of elegiac “Simple Death”. “Survive” is Wolfe at her essential best, with a vocal melody following a simple guitar part surrounded by reverb, delay, and feedback. “Colour of Blood” revisits the industrial tinges of “Carrion Flowers” and “Maw”, scored by the most plaintive of the album’s vocals, delivered with a distracting lisp effect. When we reach the finale of “Abyss”, the haunting piano and processed choral effects call to mind an eerie clockwork effect a la Chris Vrenna (NIN) and ending with a frenetic violin flourish. Finely crafted production can make even a small record sound huge, but one is wary of this type of transformation because it rarely seems to represent the artist faithfully. Granted, the difference is pronounced and often impressive – for example, Beck’s classic album Odelay, produced by The Dust Brothers, landed the artist Grammy awards, platinum records, and hit singles; but magnifying the work to an unnatural scale does not necessarily serve the artist and although Odelay remains a classic, its sound is an anomaly within the artist’s discography that his subsequent albums eschewed in favour of one more consistent with previous recordings. 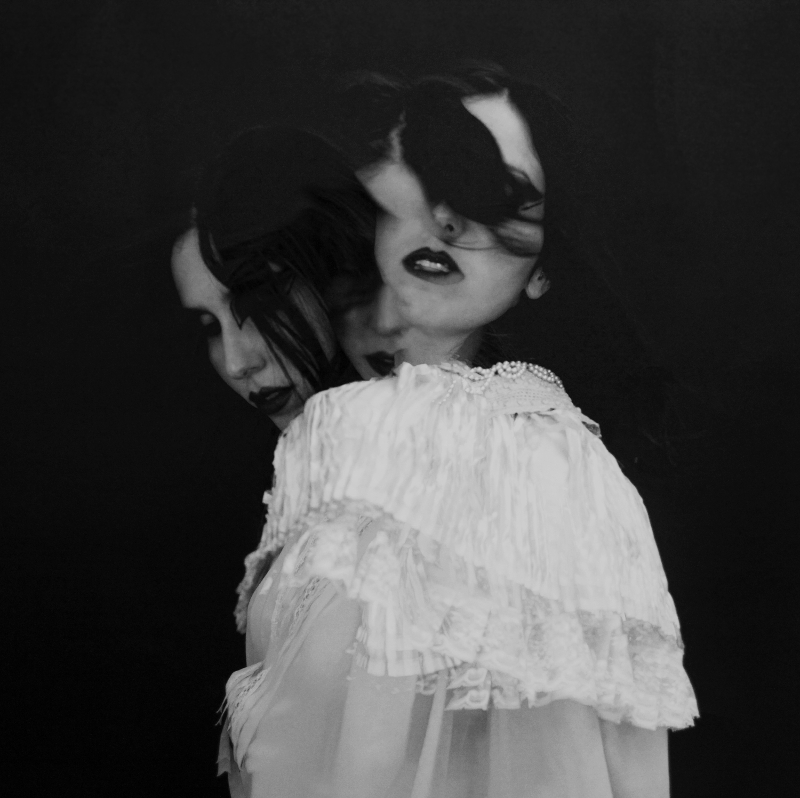 Whether or not Abyss will be considered a classic seems less important than the question of how it will affect Wolfe’s overall sound; Nika Danilova (Zola Jesus) has taken dramatic steps away from the sound that first brought her to prominence and, while this has expanded her audience considerably, one would argue that her early recordings remain the definitive Zola Jesus despite their markedly low production value. Wolfe’s Pain is Beauty seems to maintain the standard that reflects the singer in her best light, so, while the strong line that Abyss draws between itself and its predecessors is certainly bold, its treatments feel less indicative of creative development than of ambitious production. Of course, the creative process is one of continual development and perpetual change, and some songwriters prefer to treat vocals as a single instrument among many rather than as a focal point; as the most distinctive aspect of Wolfe’s music is her voice, one hopes that future recordings will not push the production envelope too hard. Nevertheless, Abyss exhibits all the familiar hallmarks of Wolfe’s work and is at turns lost, drifting, forlorn, mournful, and threatening, yet somehow remains more optimistic than dark. A starkly beautiful recording.